Montreux is a charming town in Switzerland that sits between Lake Geneva with its shimmering blue water and the magnificent snow topped mountains of the Alps. Montreux is a truly special place. 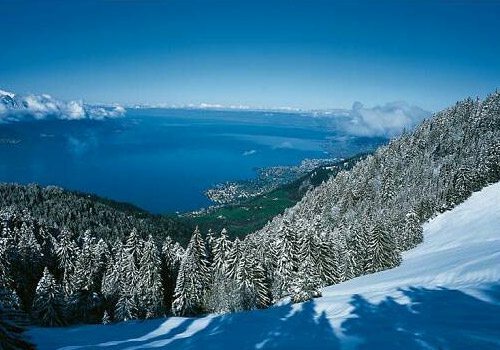 Being in the Alps, as you can imagine, there is spectacular scenery to behold (forgive us if we mention the word ‘scenery’ more than once, it’s very difficult to write about Montreux without mentioning the stunning scenery – oops there we go again). Palm trees and beautiful exotic plants can be found growing in Montreux due to its exceptionally mild climate, and in the warm sunshine it can have an almost Mediterranean feel. With majestic mountain views, lakeside promenades, vineyards and beautiful chateaus, this is a unique town with a rich culture and history that adds to its mystique. 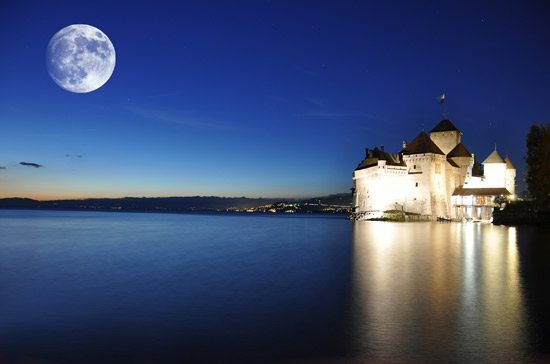 With this in mind, we wanted to introduce you to some of our recommended ‘must-sees’ in and around Montreux. Chateau de Chillon (or Chillon Castle if you want to be British about it), sits wistfully on a rocky island on the shores of Lake Geneva. Situated less than two miles from Montreux It is said to be the most visited monument in all of Switzerland and it’s easy to see why. This fairytale castle has everything you could hope and imagine a castle to have. Turrets, dungeons, great banqueting halls, a chapel, courtyards, vaults and the list goes on and on. 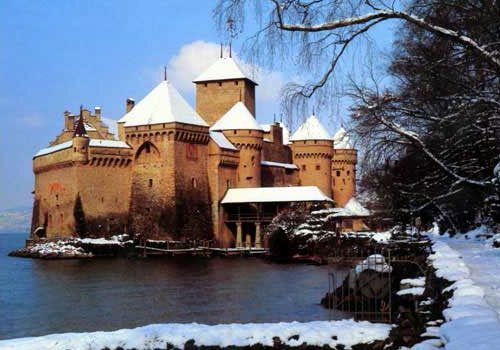 Visit this chateau and experience the special atmosphere of this well preserved castle which has been occupied since the bronze age and now hosts a wide range of cultural events and exhibitions. 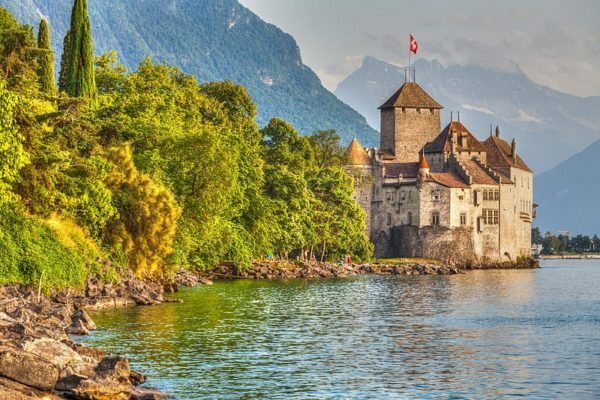 Enjoy strolling through the well-manicured gardens surrounded by the panoramic vista of the beautiful Lake Geneva and endless mountain views and allow yourself to admire the stunning architecture of this medieval castle. There is no better way to enjoy the delights of Switzerland by sampling their finest products – chocolate and cheese, on this day trip excursion on board ‘The Chocolate Train’. Experience first class luxury in a vintage ‘Belle Époque’ Pullman carriage or if you fancy something more modern then take the panoramic car with huge windows to enjoy the views of the passing vineyards. The train is boarded from the lakeside in Montreux and journeys high up into the glorious alpine foothills to Gruyeres where upon passengers can alight. Gruyeres is a charming and picturesque medieval town in the district of Gruyere (interestingly the name of the town is Gruyeres and the district is the slightly shorter version- Gruyere). Although famously having a cheese being named after it, this enchanting place is actually named after a type of bird. Gruyeres translates as the ‘land of the cranes’ and being the towns emblem, pictures of these large graceful birds can be found all around. Of course, most of the restaurants here serve the obligatory fondue made with Gruyere cheese (well it would be rude not to wouldn’t it), and you can even take a visit to the local cheese museum – ‘La Maison du Gruyere’ where you can learn about the history and creation of this delicious French export. 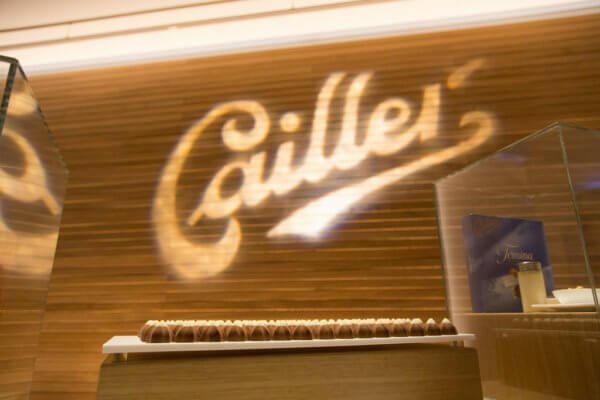 After spending some time in the delightful Gruyeres it’s time to catch a short bus ride to the Cailler-Nestlé Chocolate Factory in Broc. 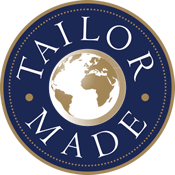 If you have a sweet tooth, then this certainly is the place for you as a tour of the factory and chocolate sampling awaits. For some, Montreux may be best associated with its legendary Jazz festival which is held annually in early July. This iconic music festival is over fifty years old and steeped in a rich heritage. 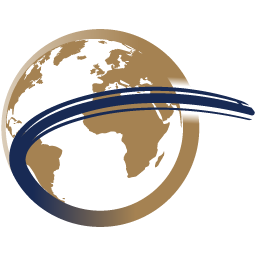 Despite its name, the festival features both traditional and contemporary music styles from jazz and classical to pop and R&B. During the festival there are many different venues and stages, both day and night which help to create a great atmosphere and friendly vibes. The festival leaves a harmonious stamp on Montreux all year around giving it an unescapable musical feel, with many Jazz cafes to choose from and an impressive live music scene. A fantastic way to take in the breathtaking panoramic views is by taking a trip aboard the rack railway. This electrically operated rack railway connects the resort of Montreux with the summit of the Rochers de Naye mountain via the village of Glion. Departing from the railway station in Montreux this delightful train takes you on a picturesque journey alongside Lake Geneva. Taking just fifteen minutes to reach Glion the train climbs steeply up into the mountains until you are towering high at an altitude of over 2000 metres. In Spring the delightful alpine flowers are in bloom adding to the spectacular views to behold. 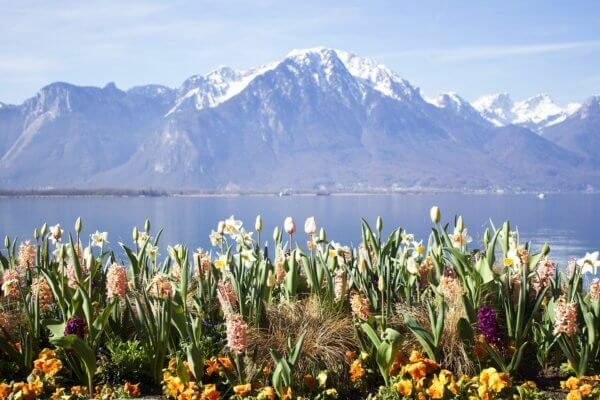 This beautiful flower lined promenade extends for around six miles linking Vevey and Montreux to Chillon Castle along the north western shore of Lake Geneva. Enjoy a peaceful summer evening stroll relaxing and looking at the quirky sculptures or watch the world go by whilst sipping a glass of wine and dining alfresco in one of the numerous cafes and restaurants dotted joyfully along the promenade. The wide paved walkway has lots of seating areas giving you the opportunity to relax whilst admiring the incredible views and beautiful trees and flowers. If we have whet your appetite and you would like to experience the delights this amazing town has to offer, or would simply like some more information on the rail holidays we have to offer, then give one of our friendly team a ring here at Planet Rail on 01347 825292.